Info: Plays in the youth academy of Ajax. Naci is playing for the U-9 team. 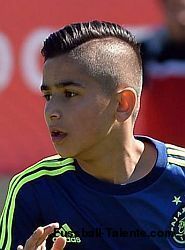 2015: Naci Unuvar is currently playing for Ajax U14.